Ishbel Zurrmond is a GSF supported athlete from the Epsom & Ewell area. 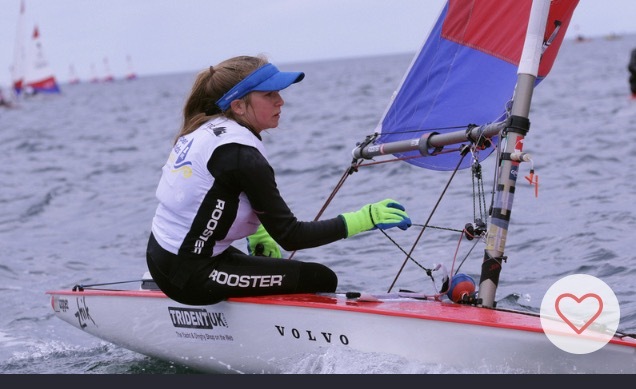 She is a member of the national squad and has been kind enough to send in an update of her summer of sailing. Thanks Ishbel! This summer has been an extremely busy one. On the day after I broke up from school, I left with my parents for Ireland. It was a long drive to the ferry but I slept most of the way. I arrived that day and checked over my boat. On the next two days, I had squad training which were two days of getting to know the water. On the Monday, the World Championships began with 163 competitors. The wind was heavy but dropping all day, I managed a 9th, 21st and a 3rd place. I was really pleased with this as it left me in 22nd place overnight. On the next day, we went out, however there were no races due to the shifty, light winds. Wednesday was the last day of qualification; there were two races in which I managed a 7th and 5th. This left me 14th overall out of 163 and I had qualified for gold fleet. Now it was the final series. Thursday yet again gave light winds however this time bringing a thick fog along with it. We managed to get in one race that day in which I got a 23rd which wasn’t my best result, however I wasn’t unhappy with it. 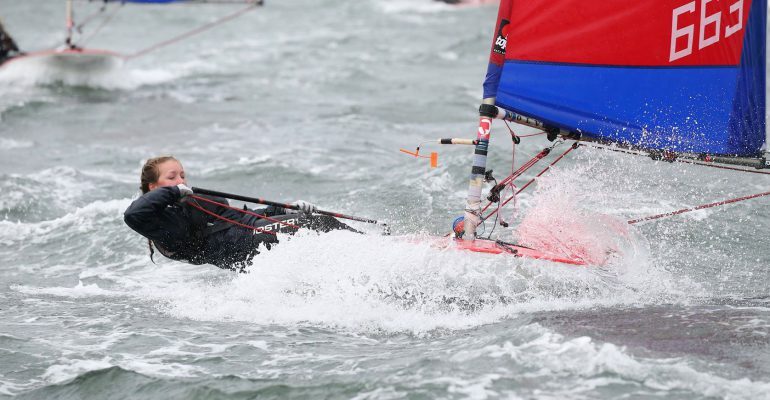 On Friday, the last day of the Worlds, was extremely heavy winds with huge swell. After a difficult launch and beat, I decided to put 2 reefs into my sail. On that day I didn’t do so well struggling with the waves. I got a 27th, 35th, (43rd) and 30th. I didn’t mind considering the winds. At the end this left me in 27th place overall out of 163. Being 7th girl and 2nd British girl. I was extremely pleased with my result and now it was on to the Nationals. After a week’s rest, I made my way up to Scotland, North Berwick. I had two days of training and then a rest day yet again to get used to the water. It started on the Sunday. Unfortunately, North Berwick appeared an unpredictable venue with heavy winds calling off the 1st and 2nd day and then then light winds calling off the third. The fourth day was then a very long day on the water. With medium winds, I got a 4th, 21st, 1st and 16th. I was extremely happy with this and it left me qualifying for gold fleet in 12th. The next day was incredibly windy however they had to get us out sailing. I put reefs in my sail and that day got a 33rd and 27th. Which I was fairly pleased with. With stronger winds on the last day, I finished 21st overall and 4th girl missing out on 3rd by one point! It was a great week and a great way to end my time in Toppers. A European Para Champs to remember!